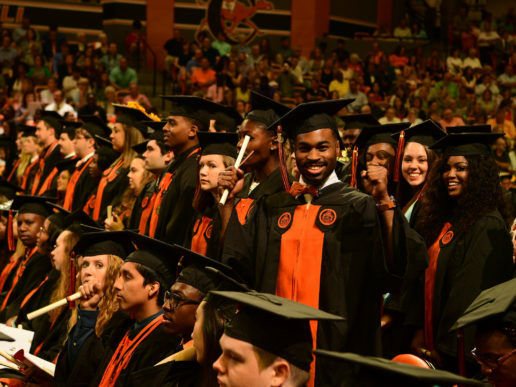 ORLANDO, Fla. — Campbell University’s communications and advancement teams took home eight awards for publications and social media at the 2014 CASE District III awards in Orlando Tuesday. For the second consecutive year, Campbell Magazine won the Grand Award for most improved university magazine. Editor Billy Liggett and writers Cherry Crayton and Haven Hottel teamed up to earn Award of Excellence and Special Merit honors for publications writing in the 2013 spring and summer editions. Graphic designer Jonathan Bronsink also received a Special Merit award for his overall design of the summer edition, which featured the launch of Campbell’s School of Osteopathic Medicine. Bronsink and Hottel also received an Award of Excellence for last year’s commemorative 125th anniversary book. Crayton received three additional Special Merit awards for social media execution and website writing. She was recognized for her stories involving the PGA Golf Management program’s “viral putt” and her yearlong Campbell Proud series. 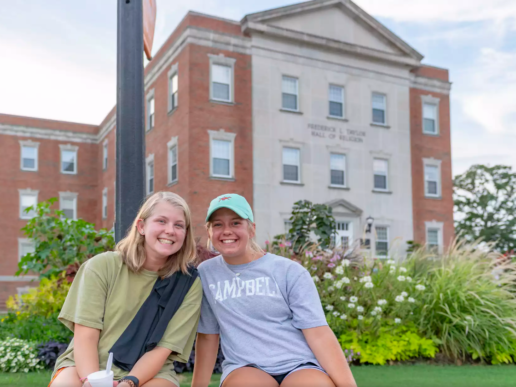 Campbell University Vice President for Admissions and Institutional Advancement Britt Davis called the eight awards a “tremendous achievement” for his staff. The Council for Advancement and Secondary Education’s third district includes nearly 600 public and private universities and colleges, in addition to other private schools from a nine-state region, which includes North Carolina, South Carolina, Virginia, Kentucky, Tennessee, Georgia, Florida, Alabama and Mississippi. 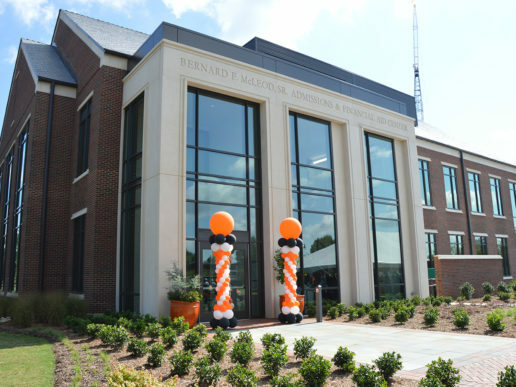 Schools were honored in more than 70 categories Tuesday for marketing and communications, alumni relations and fundraising efforts. Photo: Jonathan Bronsink and Billy Liggett accept Campbell Magazine’s Grand Award in Orlando, Fla., on Tuesday.